Grimlock looks hot in pursuit of Decepticon spies on the Transformers Grimlock Sword Red T-Shirt! This red tee is made from 100% ringspun cotton and features a silkscreen print design of Grimlock wielding a sword by artist Sket-One. 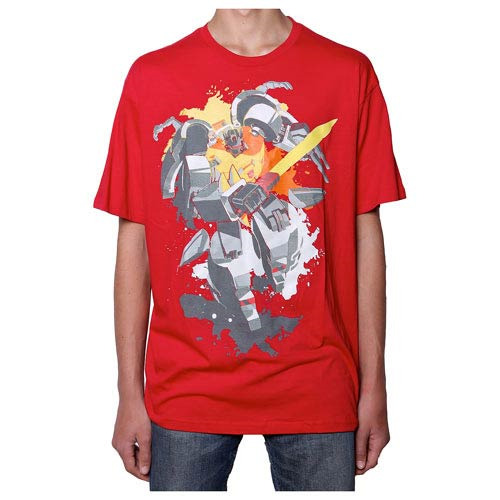 The Transformers Grimlock Sword Red T-Shirt is slightly fitted so it makes for a perfectly comfortable tee.